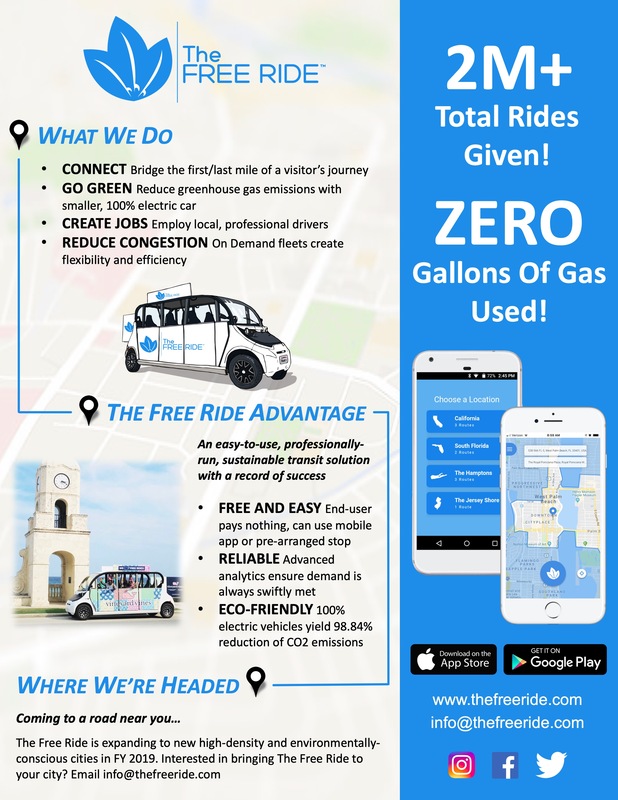 The Free Ride is a free, electric, micro-transit solution. Using fleets of nimble cars and an on-demand ride request app TFR is the solution to the first-mile last mile gap that’s experienced by municipalities around the world. TFR will continue to expand to new cities by offering a cost-effective and eco-friendly system that aligns with needs of the modern city. Interested in learning more about how Free Ride would work in your city? Send us a note.